Three – stage short arms for asymmetric lifting of large vehicles min. pad height 95 mm. 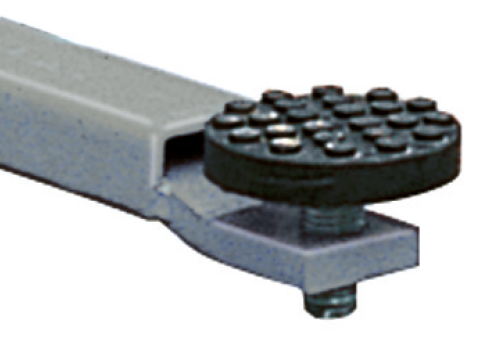 Short arms with longer reach, recommended to lift off-road vehicles with very inboard lifting points- arms suitable for quick drop-in extensions and other lifting accessories. 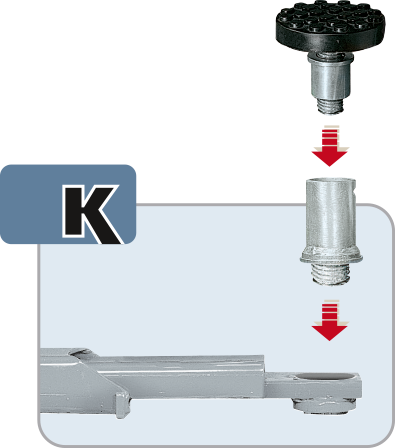 Extra low profile arms, parallel to the floor – double thread pads with a min. height of 80 mm only. As SR36-37-41EK but with electronic synchronisation. 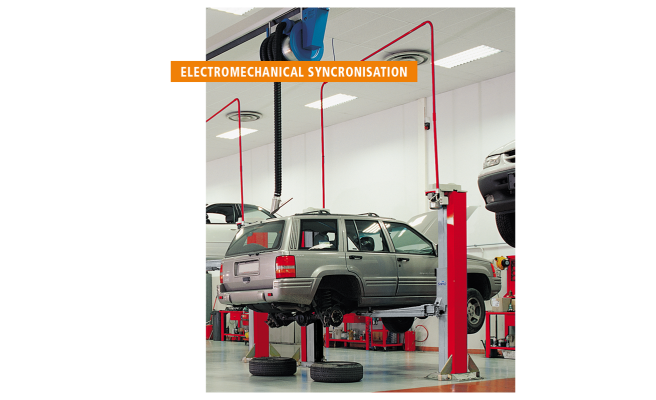 The electronic synchronisation keeps the carriages within an alignment of 15 mm -cables can be ceiling installed or recessed in the floor to eliminate any obstacles during lifting.